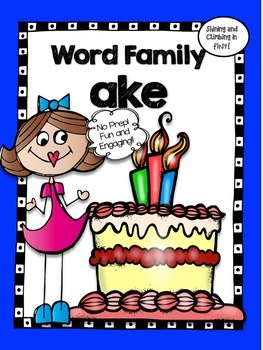 -ake Word Family Activities - No Prep! Word Work! 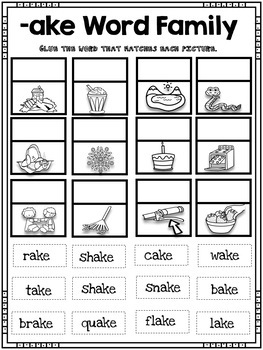 These practice sheets contain many different activities your students can do to help them become better at learning the -ake word family. 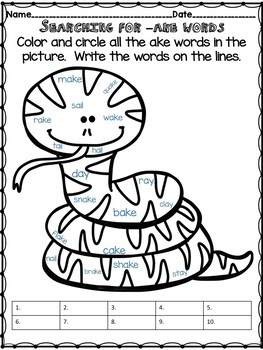 Included are letter boxes, fill in the blanks, mini book, cut and paste, coloring, classroom cards, and blending. Great to use for differentiation! These sheets are perfect for extra practice in the classroom or you can assign them for homework. No prep required! 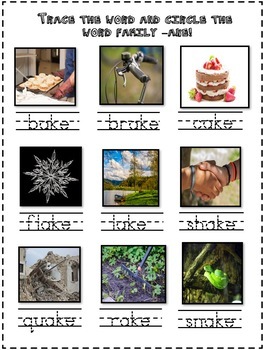 Easy directions on every page will allow your students to practice the -ake word family independently.